Set sail for "Pirate Adventures"
Kids getting on your nerves yet? The feeling's probably mutual. In another week, you could be looking at a mutiny. Why risk it? 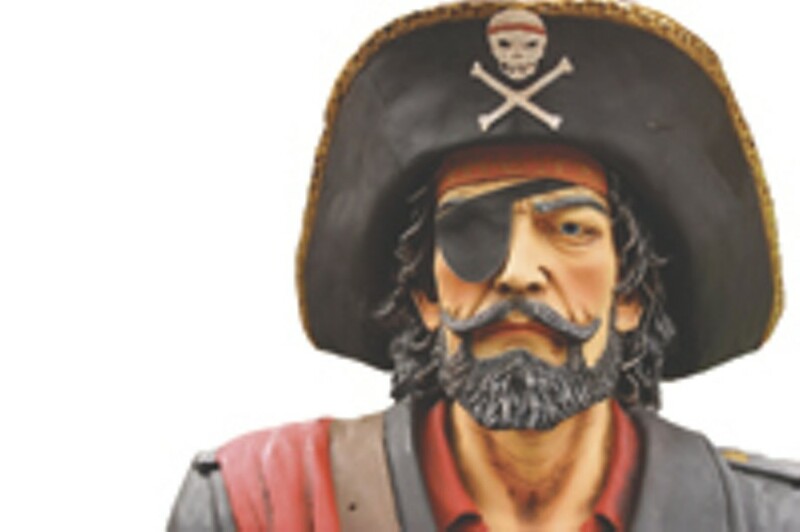 Head to the RochesterMuseum and ScienceCenter on July 7 for "Pirate Adventures," the first in a series of Family Fridays in July and August. Coinciding with the release of Pirates of the Caribbean: Dead Man's Chest, activities include catapulting marshmallow cannonballs at miniature ships, learning to navigate by the stars at a special planetarium show, and presentations about pirate history. As if all that weren't enough, RMSC's got your back with fun stuff for the kids to make 'n' take just when you need it the most. It's summertime. No matter what you do, the kids are gonna plunder the house. At least if they're proudly sporting the pirate disguises and flags they made at "Pirate Adventures," it elevates the whole ordeal to creative play. Activities run from 11 a.m. to 4 p.m. and are free with museum admission. Calvin Uzelmeier, RMSC's Manager of Exhibits and Floor Programs, says, "We're creating a really fun environment with music and lots of great things to do throughout the museum. RMSC is treating Family Fridays as big events." Upcoming Family Friday themes include "Wild Weather" on July 14, "Christmas in July" on July 21, and "Hogwarts Happenings" on July 28. Got a bored preteen? Don't miss "Video Game-palooza" on August 4, coinciding with --- I kid you not --- National Video Game Week. Video games get a week and Johnny Depp does not? What kind of country is this? RMSC admission is $8 adults, $7 seniors and college students, $6 kids ages 3-18, free for members and kids under 3. Go to www.rmsc.org or call 271-4320.